In Barossa we are incredibly fortunate to have a wealth of generational history at our fingertips. Locally, we don’t tend to bat an eyelid at 5th, 6th and even 7th generations working on their family vineyards and wineries. Today however, we have another generational tale to weave. That of food, wine and the art of service. 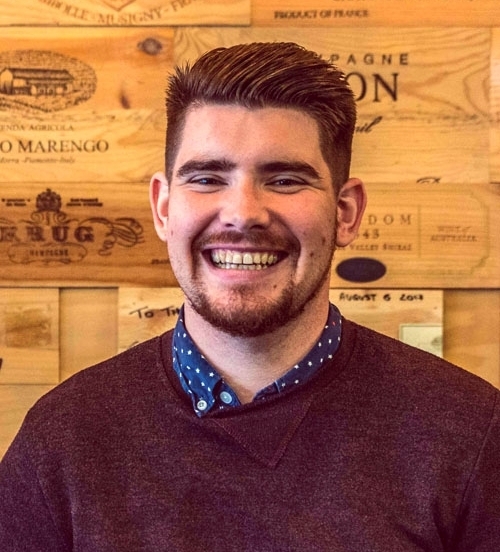 Mathew McNamara grew up, quite literally, in the middle of Barossa culinary scene. Home was Pear Tree Cottage Restaurant; dining room out the front, (tiny!) commercial kitchen in the middle and bedrooms out the back. Dad, acclaimed chef Mark McNamara, and Mum, Joanne quietly guiding the diners through an experience which helped elevate Barossa’s restaurant scene through the 90s. With the passion Mark and Jo both have for the region and its culinary attributes it’s unsurprising that Mat would end up in hospitality. His resume boasts Sommelier at Appellation, in the cellar at Murray Street Vineyards, Cellar Door At Kalleske Wines, Restaurant Manager and Sommelier at Bistro Dom and now General Manager of East End Cellars. …The perfect canvas to create delicious Barossa Grenache, Mat’s cool-weather choice! So, with culinary Barossa running through his veins and access to an incredible array of wines from near and far, what are the stand outs in the 2019 Barossa Wine Auction Catalogue? Mat – over to you! This is a no brainer if you’ve ever been fortunate to do any of the following: Taste a Hutton Vale Lamb, Tasted a Henschke Mount Edelstone wine with a bit of age, or watch John Angas round up sheep on the Ag bike… To get all three at the same time is priceless! Dan’s wines are some of my favourite expressions of what the Barossa does best, and The Standish is the original wine for me. His production is so small that you rarely see his current releases, let alone anything with age! 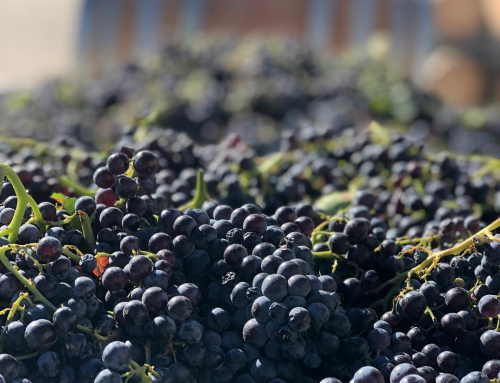 The world of fine wine outside South Australia really looks down upon sparkling red, even though its one of the most popular styles here in SA! Rockford Black is the first name on my Christmas morning list and only one thing could make that better, a magnum of the stuff tiraged in 1999 and discorged in 2016… yes please! One of our hidden gems in the Valley is the incredible collection of old fortified material, whether that be in bottle now or still aging away in barrel, these little nuggets of flavour and history are almost always overlooked and are more often than not, absolutely cracking! Summer might be over, but who doesn’t want a frige full of smokin’ Eden Valley Riesling? Even if I do solely drink Barossan Grenache during Autumn and Winter, these things last forever anyway!